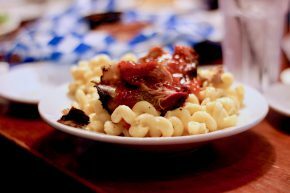 It began with Tractor Twists, which are not at all your typical BBQ food, but that should in no way cheapen their deliciousness. 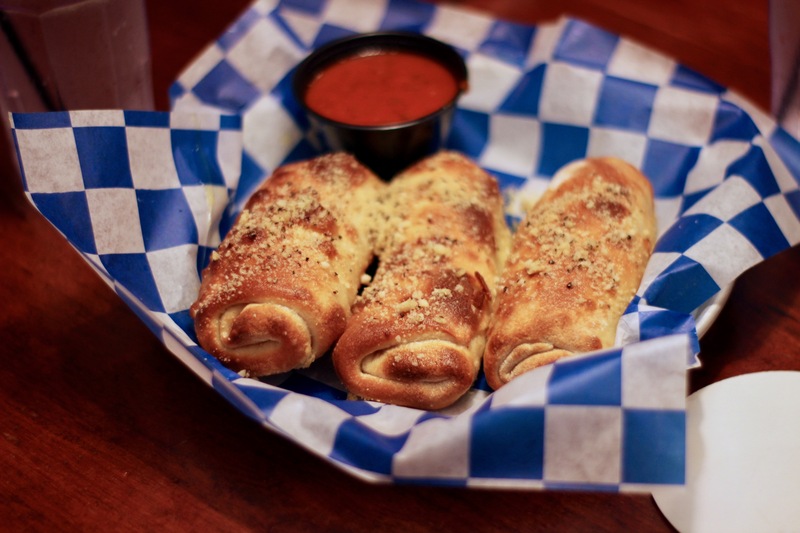 These are twisted bread sticks that are stuffed with monterey jack cheese, coated with garlic and herb butter and served with marinara sauce. You could basically call them deconstructed pizza twists, and that would sound and taste just as good as these did. I kept the twist theme going with my main course, which was the Pork Mac & Cheese (get it? the macaroni noodles are twisted!). This meant that the mac, which was cheesed up with a smokey gouda bechamel sauce, was topped with smoked pork shoulder, which was then topped with tangy BBQ sauce, kind of like an inception situation. And while the portions were impressive, to be honest, my first bite was disappointing. 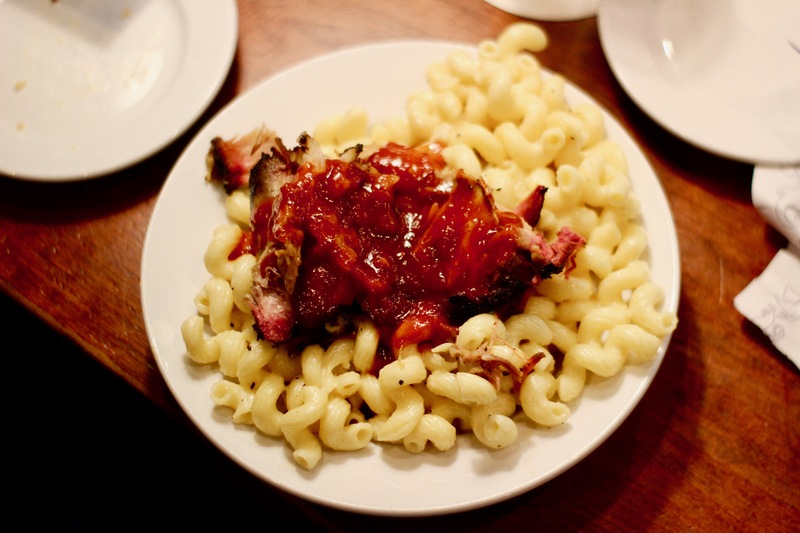 The bit of pork shoulder that I got was dry and the mac and cheese wasn’t creamy at all. But as I dug in, I realized that the creaminess had settled towards the bottom of the bowl and just needed my assistance for proper dispersion, while the pork shoulder was plenty juicy on the interior. My theory is that the dish was simply plated a little too quickly compared to my eating companions and spent a little too long under the heat lamp or elsewhere. It’s situations like these in which I wish we didn’t just wait for all food to be ready to be served. Alas, this is America, and for some reason this is a custom that lives in. But I digress. Once I got into the thick of my meal, it was super delicious. It combined basically everything you need to survive – meat, cheese and carbs – and did so well, at least after a bit of stirring. It’s definitely a place I would recommend for someone looking to get smoked up in Northern Michigan.